$49.99 5 pieces: 4X velcro wrist/ankle foam padded cuffs attach (click-lock buckle) to the ends of a duo 320 cm belts (that are attached perpendicular to the main 180 cm belt, that is tucked under the mattress). Fully adjustable, no-tear 100% polyamide material. 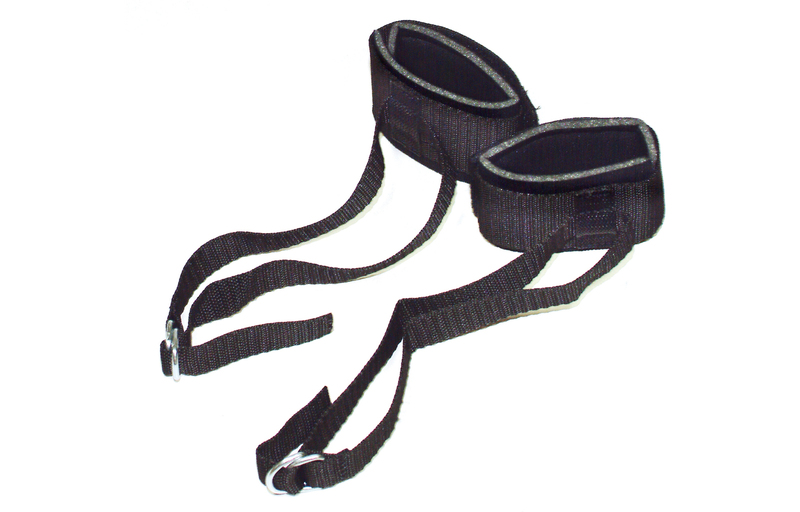 $27.99 Two foam-padded cuffs with adjustable Velcro fasteners for hands or feet. $29.99 Thigh cuffs (58 cm long) with attached handcuffs. 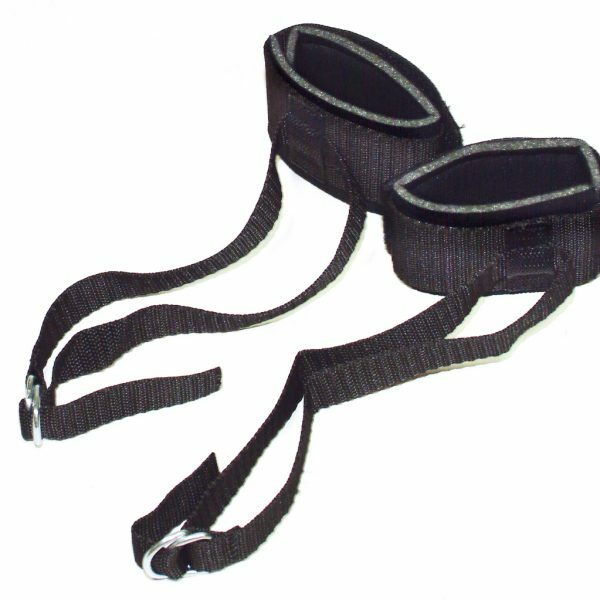 Soft, tear resistant polyamide material, padded and velcro adjustable for Him or Her. Hand washable. $39.99 For the captivating lust! Two handcuffs, connected with a short chain with snap hooks (10 cm). Cuffs made of black suede with imitation leather edging. Size: each 5 x 24 cm, with Velcro fastener. Material: leather/polyurethane.